In the pre-dawn hours of the graveyard shift, the ICU at the Houston Heart Institute is quiet, and quietly, patients are dying. Surgery resident Joe Morales must survive a two-month stint in an ICU rife with land mines—unexplained patient deaths, rival faculty, fellow-resident saboteurs, a cost-slashing administrator, a ruthless insurance executive, a seductive head nurse, a jealous wife, a critically ill son, an overprotective mother and an orderly distraught over his daughter’s death. Joe knows that an outstanding performance will secure a coveted cardiovascular fellowship. He must determine the cause of the suspicious deaths to salvage the career he’s always wanted. This entry was posted in Uncategorized on December 4, 2018 by 20381215. If you could prevent a stroke, would you? Of course you would!! Located on the sides of your neck (not far from your jawline) is the lifeline to your brain. Also known as your carotid arteries. These arteries can “clog” the same way the arteries in the rest of your body does. According to the National Heart, Lung, and Blood institute, over half of the 795,000 strokes in a year occurred as a result from carotid stenosis. The arteries fill up with plaque that consists of fat, cholesterol, and other waste products. Conditions such as hypertension, diabetes, obesity and lifestyle choices such as smoking also increase the risk of the arteries clogging. Unfortunately, the symptoms showing carotid artery stenosis doesn’t appear until it’s an emergency and most of the time to late. The good news…there is a simple test to show you just where your carotids stand. Surgeons are able to open the artery with a stent providing blood flow back to the brain. A simple 5 to 10 minute ultrasound can save your life!!! Beginning in January, we will be offering carotid scans as part of the circulation check. Let us help you to keep your circulation in check! This entry was posted in Uncategorized on December 3, 2018 by 20381215. 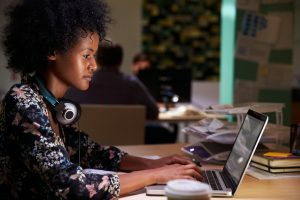 It may take a little effort to improve your circulation and vein health at work, but it is sure to pay off in the long run. There are a number of physical ways you can address any concerns you may have about the health of your veins. 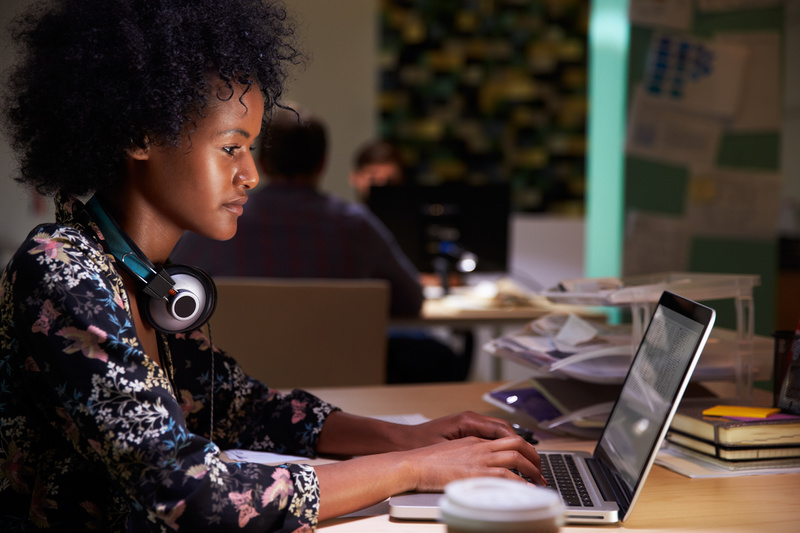 For example, instead of only sitting or standing, consider a combination of the two with an adjustable-height desk or a standing desk with a taller chair. It’s also important to pay attention to the position your body is in as well. Your feet should be flat on a stool that elevates them about six inches from the floor. If you sit all of the time at work, be sure that your office chair supports good posture and that you take periodic standing breaks to keep your blood flow circulating. It is also possible to perform light stretching throughout the day to help get you moving while promoting good circulation and oxygen flow. Standing calf raises, toe touches, and flexing the calf muscles are easy and simple ways to get your blood circulating. If possible walk around during your phone calls. Even if you are just making small loops around your cubicle, this little movement promotes blood flow. It also helps to keep fluid from pooling in your legs and ankles. Compression stockings benefit anybody, especially those whose jobs require long periods of sitting or standing. Compression stockings mimic the muscle contractions of walking, which stimulates the flow of blood and helps to prevent lymphedema. Visit OGormanVein.com to find out how we can treat your varicose veins in Mobile, AL. Contact us with your questions and talk to one of our friendly and knowledgeable staff members. This entry was posted in Uncategorized and tagged varicose veins Mobile AL on August 28, 2018 . We are beyond excited to announce the newest technique to treat varicose veins, Varithena! 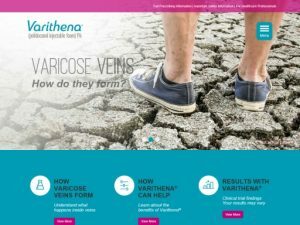 Varithena® (polidocanol injectable foam) is indicated for the treatment of incompetent great saphenous veins, accessory saphenous veins and visible varicosities of the great saphenous vein (GSV) system above and below the knee. Varithena® improves the symptoms of superficial venous incompetence and the appearance of visible varicosities. This entry was posted in Uncategorized on August 27, 2018 by 20381215. If you suffer from spider veins, chances are they have been caused by pregnancy, age, obesity, or prolonged standing. Getting rid of your spider or varicose veins gives you a new lease on life. You no longer have to be embarrassed about how your legs look when you decide to have sclerotherapy, a safe and effective vein treatment. Sclerotherapy is a tried-and-true procedure that has been in use since the 1930s. At O’Gorman Vein & Vascular, sclerotherapy in Mobile, AL, is a commonly performed and successful option for the removal of spider veins. Dr. O’Gorman uses ultrasound guidance to inject a medication or salt solution directly into the veins with a very fine needle. The solution causes the lining of the blood vessel to collapse and the blood to clot. The vessel eventually turns into scar tissue that fades away. The number of veins injected at one time depends on the size and location of the veins. This procedure may cause a short period of discomfort, especially if the veins are large, but generally, there is a little-to-no real pain. In fact, it is considered a painless procedure that doesn’t require any anesthesia. Sometimes it takes a few weeks for the appearance of veins to disappear. During this time there may be slight tenderness around the vein-injected areas. Nothing more than a mild pain reliever like aspirin is needed. Once sclerotherapy is successfully done, however, does not mean that the propensity for spider veins is gone forever. This entry was posted in Uncategorized and tagged sclerotherapy Mobile AL on August 15, 2018 . There are a few ways in which thread veins on the face are different from those on the legs. But the major difference is that thread veins on the face are higher up in the body than the heart, while those on the legs are below the position of the heart. Therefore, gravity makes it easier for thread veins on the face to allow blood to flow down to your heart. However, thread veins on the legs become visible because the collection of blood above them is open and filled when we stand or sit. 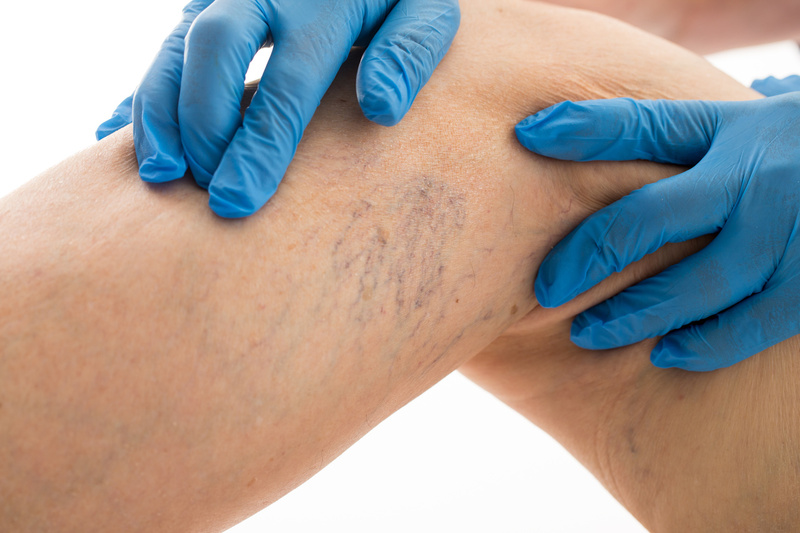 O’Gorman Vein & Vascular specializes in the treatment of thread veins in Mobile, AL. Visit OGormanVein.com to learn about the procedures performed by our board-certified vascular surgeon. This entry was posted in Uncategorized and tagged thread veins Mobile AL on August 10, 2018 . Which Vein Clinic Is Right for Me? Is Vein Treatment the Clinic’s Specialty? Is the Vein Clinic Doctor Experienced? What Are the Doctor’s Credentials? Is the Doctor Board Certified in Vascular Medicine? Does the Doctor Regularly Treat Vein Issues? Also, check that the clinic uses up-to-date technology such as lasers and radiofrequency equipment for diagnoses and treatment. When you are looking for a leading clinic for varicose vein surgery in Mobile, AL, count on O’Gorman Vein & Vascular. Our clinic answers all your questions and offers you a free consultation. This entry was posted in Uncategorized and tagged varicose vein surgery Mobile AL on July 31, 2018 . The vein treatments available today are more efficient and effective than the early days of painful, ineffective vein stripping. Proven results and widespread acceptance of image-guided, diagnostic ultrasound, and radiofrequency ablation technologies have made it possible for vein sufferers to get positive results in the comfort and convenience of a vein specialist’s office. Today’s minimally invasive procedures enable vein specialists to treat a diseased vein through a small nick in the skin. If you care about how your legs look in shorts or a bathing suit you can have surgery or a procedure for vein removal in Mobile, AL, at O’Gorman Vein & Vascular. Surgery and other procedures are sure to reduce pain and other symptoms. However, the size of your varicose veins determines the type of treatment you might have. If you have larger veins, you are likely to have surgery or less invasive procedures such as radiofrequency closure or endovenous laser treatment. This entry was posted in Uncategorized and tagged vein removal Mobile AL on July 13, 2018 . As a part of the circulatory system, the lymphatic system is a part of the circulatory system and vital for immune function. Lymphedema is caused by a blockage of this system. It is most commonly found in arms and legs and is identified by swelling. In some patients, lymphedema occurs in medical conditions that impact the flow of venous blood. When the diseased veins can’t handle the fluid volume, the fluid overflows into the tissues, which depletes the lymphatic system in the area and causes lymphedema. Two such venous diseases include varicose veins and deep vein thrombosis. For lymphedema treatment in Mobile, AL, seek help from O’Gorman Vein & Vascular. This entry was posted in Uncategorized and tagged lymphedema treatment Mobile AL on June 28, 2018 . Sclerotherapy is an effective way to reduce or eliminate varicose veins and spider veins. A majority of patients are delighted with the results and feel better about themselves, which is an extremely important benefit. For small varicose veins, sclerotherapy is an ideal treatment. It works by injection of a solution directly into the veins. The solution makes the vein scar, which then forces blood to take a different route through to healthier veins. Eventually, the collapsed vein is absorbed back into the tissue where it eventually fades. One of the best benefits of sclerotherapy is that it’s a simple procedure that has become more successful over the years due to better instruments and more effective therapeutic agents. It is considered a cosmetic procedure because most patients are motivated to get rid of unsightly dilated varicose and spider veins. The procedure usually takes no more than 15 to 20 minutes, and normal daily activities can be resumed immediately. If a patient does have aches and pains related to spider veins, sclerotherapy is known to relieve those symptoms. A sclerotherapy injection can be performed in a vein specialist’s office, like O’Gorman Vein & Vascular, which specializes in sclerotherapy in Mobile, AL. Call us at (251) 410-8346 today for more information or to schedule a consultation. This entry was posted in Uncategorized and tagged sclerotherapy Mobile AL on June 13, 2018 .